Would never wear Black and Tan at a Saint Patrick’s Day parade! This was written by admin. Posted on Friday, February 24, 2017, at 9:16 am. Filed under Uncategorized. Bookmark the permalink. Follow comments here with the RSS feed. Post a comment or leave a trackback. You can’t believe anything this guy says, even about being Irish. Beat this guy with a shileleigh! 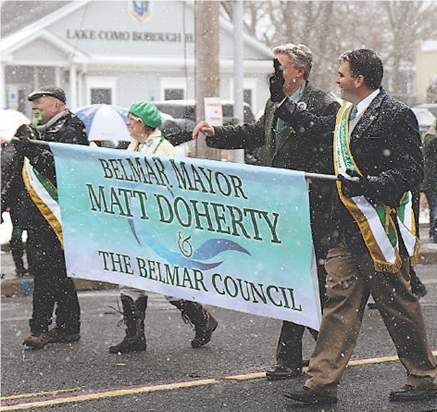 Glad I’m not one of Belmar’s Irish Mafia. Not Irish at all. He’s not BELMAR. He’s middlesex. #7…you’ve found the head of the nail. keep banging it. Although I have a Germanic name, I do have a bit of the old sod flowing through my veins and am proud of it. The people of Irish decent are good Americans and have always shown themselves to be good Americans, so let’s stop any bad mouthing of them – ERIN GO BRAUGH!